We want to thank you for your assistance over the past few years with our purchase of your banding systems.  We decided to purchase two more automated banding solutions from Wexler after our shrink wrapping machine was too troublesome. The shrink wrapper required several operators, created excess heat and the quality of the bundles was very poor. Wexler offered us the perfect solution. It was the Corner Line Automatic Banding Machine. Our multi-operator production line was reduced by one person and increased our production output, while our bundle quality drastically improved. In addition, our material costs decreased by using banding material instead of shrink wrap. This machine will pay for itself in less than a year and a half! Thank you for your great service and expertise.